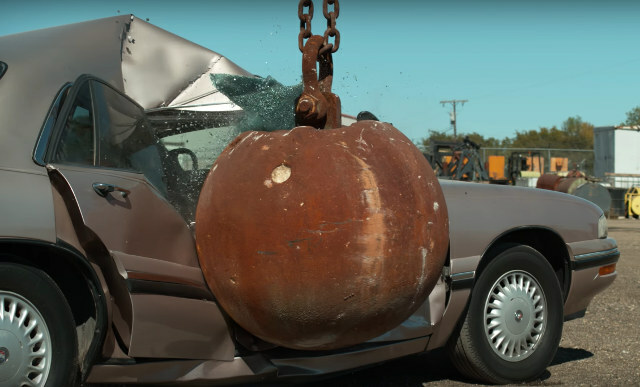 In 1973, a 5-ton wrecking ball was quietly stolen from a Indianapolis work site. For comparisons sake, this is a 4-ton wrecking ball. This image comes from the Geekologie website [Link Here].